It’s been a busy month. I recently returned from a fantastic two week European trip — Amsterdam and Sorrento — for my cousin’s beautiful wedding. Then a back to school rush for the kids, and ramping back up for new artwork creation. A highlight of the trip was hand delivering one of my new peacock dishes to a Dutch Instagram follower. My housewares line is not carried in Europe (yet…) so she is the first on the continent to have some Misha ceramics. Sidenote: we absolutely adored the boutique hotel we stayed in: the artsy Ambassade Hotel in the Jordaan neighborhood. In Seattle news, I have 3 artist appearances at different Metropolitan Market locations this weekend. 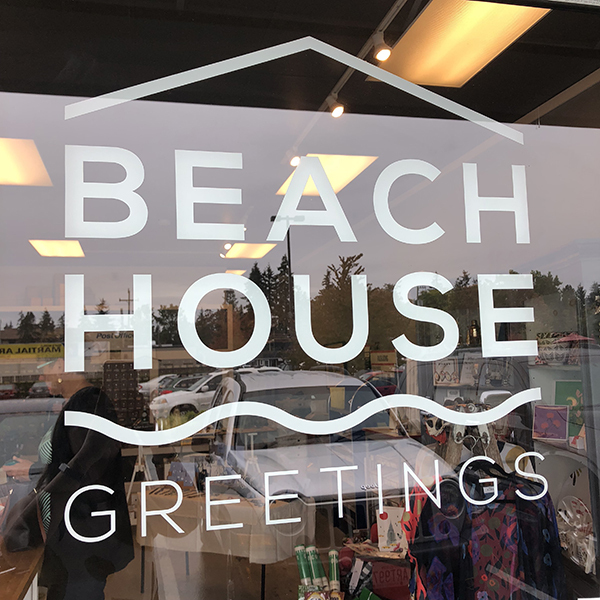 Last weekend, I participated in the Lake Forest Park / Shoreline Shop Hop event as one of the artists being featured at Beach House Greetings. It was lovely to meet some new people, including fellow exhibitor jewelry artist Teri LeClair, as well as some faces from my past (I spent my early elementary years in Shoreline). Seeing my former Bluebirds leader (and local champion of the arts) Ros Bird was a highlight! Beach House carries my housewares and calendars, and will have a small selection of my scarves and wraps for another week or so only. Get over there if you’d like to see them in person. It is the loveliest little shop, and owner Jenni Wilson curates with an expert eye.